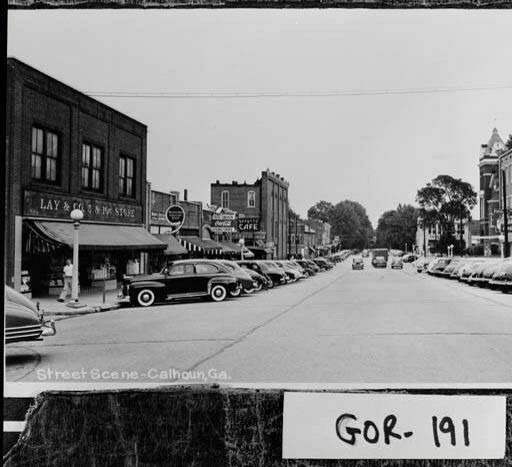 Anyone been to Calhoun GA? We were planning on leaving FL to NH Friday. The storm is screwing things up. I am thinking about leaving Friday afternoon and stopping in Calhoun on my way up north. I think it will be far enough inland to avoid the brunt of Flo. yeah, been a while for me too. Yes. My wife and I don’t live too far from Calhoun. There’s an outlet mall there off the same exit as a small handful of hotels on highway 53. I should have said Thursday afternoon. Then we would head north to I90 and spend a night in Dunkirk NY on Friday evening. Then to NH on Saturday. Been through there quite a few times but never stopped in there. I live in Calhoun, GA. There's a couple of new hotels at exit 312/Hwy 53. All the fast food places are also on that exit. We haven't grown much from that two block downtown scene. Just hotels and fast food at the I-75 exits. Thanks. We'd get in late and leave early. I have a cargo box on top of the car and don't want to unpack it at night. I'd get reservations early. With a storm most places fill up due to evacuees. This. Also, if you have decided to leave, leave now, before the mass exodus. In Houston, evacuees were left stranded, both from cars overheating sitting in traffic jams, and from people running out of gas while stuck in traffic. People spent over 24 hours making what normally would be a 3 or 4 hour drive, and that's considering that the freeways were converted to contra-flow. Both sides of the highways were outbound only. I'd love to leave today. The issue is I have a contractor coming Thursday to put of accordion shutters. If I cant get a place I can always leave Sunday or Monday. I just have to put up with my wife freaking out about the Baby being , possibly, born early. Stock up on these storm essentials now. Forget the milk, bread, and toilet paper......get to the liquor store NOW, before it's too late. Shake, and strain into a large Hurricane glass filled with fresh ice. I have a trip planned for the Smokey Mountains and Rod Run this weekend. So, I've been following Florence, closely. The mountains are close to Knoxville, TN. I'm not sure of your route to NH. But, I think GA/TN are safe until late Sat. night or Sunday. for rain or winds. We won't get any of it here. If you are trying to get ahead of it and going through VA., MD, etc...you will need to be through those states by Sat. I would think....I don't know where are the evacuees are headed...roads could be packed and everything booked up in those particular states. Atlanta Motor Speedway has opened up all their acreage for free camping to evacuees. The mayor of Calhoun Ga welcomes you!! My plan would be to head up to Ohio then take I90 across to MA and then NH. we would stop in Dunkirk NY and spend the night with my sister. Based on what the weather people are saying the flooding will be awful east of the mountains. I want to avoid that. So when you leave Dunkirk and are almost to Buffalo, there is an exit for the 400 to West Seneca/ East Aurora. That is the last exit on the I-90 before the I-190 exit that goes downtown. If you drive 15 minutes down the 400 Expressway, you'll be where I live in East Aurora. Looks about like Main street in the small town I live in in those pics. All times are GMT -5. The time now is 12:44am.